Dickau and Slim, on 700 ESPN in Spokane, welcome Sea Hawkers Podcast co-host Adam Emmert onto the show to talk Seahawks. The guys talk about what the Chargers defense might try and do to stop the Seahawks surging offense, whether or not Phillip Rivers will test Richard Sherman and of course Adam has to take a moment to give some Russell Wilson love. Happy Blue Friday and GO HAWKS!! The Seahawks continue their primetime dominance at home and defeat the Green Bay Packers 36-16. As great as the 20-point victory is, Brandan says the defensive performance is what impressed him the most. Brandan opens the show by talking about the scene around Seattle and the unveiling of the banner for the World Champion Seahawks. The guys break down some of the biggest plays in the game, talk about how Aaron Rodgers completely avoided throwing at Richard Sherman, and discuss why Earl Thomas may want to learn how to call a fair catch. The Seahawks go on the road this weekend to take on the San Diego Chargers who suffered an 18-17 defeat against the NFC West rival Arizona Cardinals. Looking at the matchup, and their performance against the Cards, the Seahawks match up very favorably. The only thing San Diego has going for it is the excitement around their home opener. 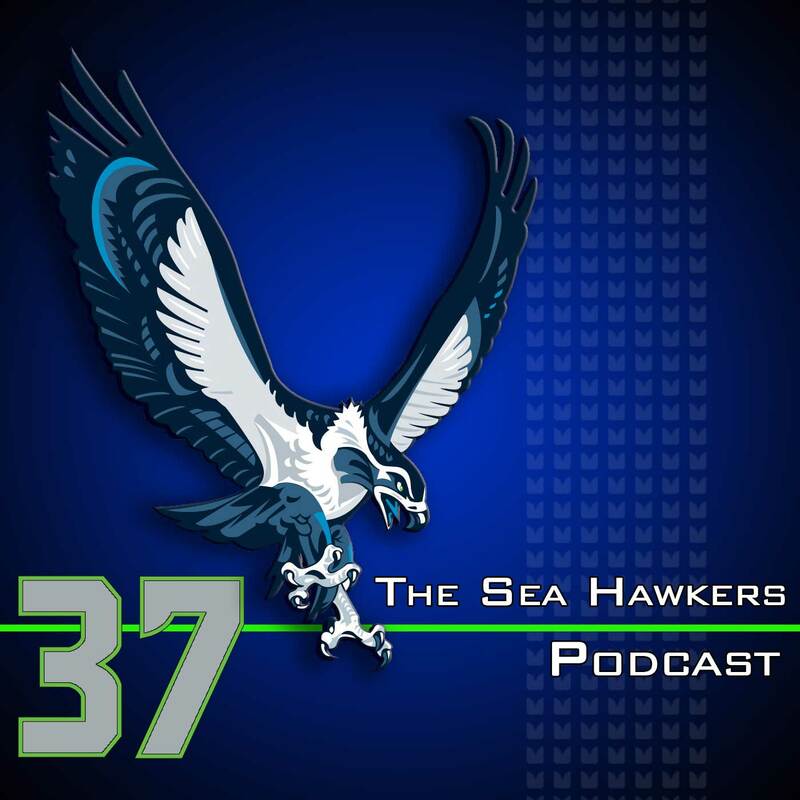 Tansey Allen, co-founder of the Seahawks Road Crew, talks about how Seattle fans are rallying to show up to the San Diego game to help give a boost to Seahawks players. If you're a fan who's going to be in southern California, you're going to want to tune in to find out about all of the events happening this weekend. 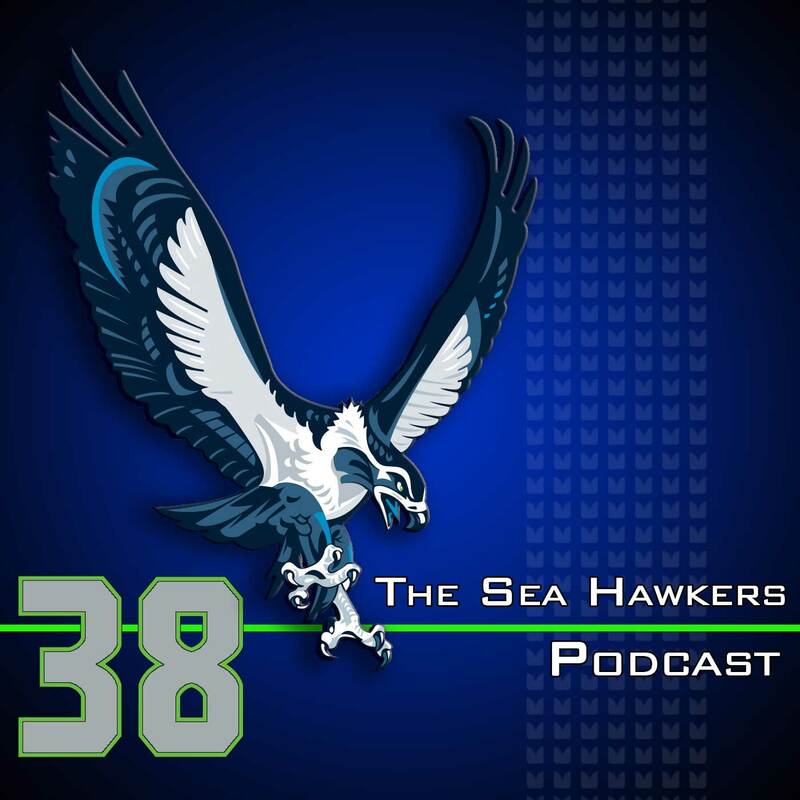 Tansey Allen, co-founder of the Seahawks Road Crew, visits us this week to talk about the upcoming plans for Seattle fans to rally on the road in San Diego. Tansey talks about how the road crew helps set up pregame rallies, tailgating parties, and can help get tickets for when our Seahawks are on the road. Allen and other with the road crew often work with Sea Hawkers Booster Clubs around the country and other groups like the 12th Army to help fans come together at away games and help make the presence of Seahawks fans known. Allen says it's a huge boost to the players to hear legions of fans in stadiums away from home. Look for the Seahawks Road Crew on Facebook or @SeahawkRoadCrew on Twitter. The Seahawks open up their final preseason game with a four-play, 80-yard touchdown drive and then proceed to close the season with a loss to the Raiders. Adam and Brandan talk about the ugly first and second quarter against Oakland’s new starting quarterback Derek Carr. As expected, there were many more recognizable names among those cut from the 75 down to the 53-man roster. The guys break down some of the potential reasoning behind those decisions. The first regular season matchup with the Packers is only days away! Adam starts the preview by feeling a bit nervous of the matchup, but as the two talk through it he feels much better about the potential for a win this week. Both agree the Packers will likely be the second-best team in the NFC. John Hagengruber, life-long Green Bay Packers fan joins the show to help preview this year’s squad. John talks about the added dimension Eddie Lacy brings to the team, something the Packers didn’t have the last time these two teams faced, and some of the players to watch for on both sides of the ball. In the last part of the show, we play a couple listener voicemails and thank those who have left reviews on iTunes and Stitcher. Brandan calls out an NFL writer for producing a meaningless list when there are plenty of other topics to write about now that the season is starting, and days after the league revises it’s policy on domestic abuse a 49ers player will be the first to be punished under that policy. Adam gives commissioner Roger Goodell a “better at life” nod for acknowledging his mistake in the decision to suspend Ray Rice for only two games. Brandan’s pick is a Spokane high school student in the Make-a-Wish program fighting cystic fibrosis and was recently honored by the Seahawks. John Hagengruber, life-long Green Bay Packers fan joins the show to help preview this year's squad. John talks about the added dimension Eddie Lacy brings to the team, something the Packers didn't have the last time these two teams faced, and some of the players to watch for on both sides of the ball. As a graduate of the University of Wisconsin, John actually has an affinity for Russell Wilson. Even though he predicted he would be a great player for the Seahawks, he says he couldn't predict success would come so soon. Two years since the now infamous “Fail Mary” game in Seattle two years ago, and having attended the game with Brandan, John talks about his thought on the play and how his view of it may be different from some of the other cheeseheads.